Risk management may seem simple enough in theory, but not all employees have the necessary skills and competencies to successfully apply it in practice. One of the key components in driving change is employee training and development. Integration into decision making, planning, budgeting, purchasing, auditing etc. Just like any other business expense, a risk management training budget needs to be justified. And just like any investment decision, risk management training needs to show adequate return on investment. Training costs money: the development process, hiring trainers and getting employees to dedicate time away from their workplace to participate in training. One useful way, suggested by risk managers we interviewed, was to make all risk management training competency based and setting KPIs to check for noticeable improvement in the quality of risk based decision making. Each training session should start and end with competency tests. Surveys should also be conducted one month and six months after the training to test for knowledge retention. Another useful suggestion is to develop an internal risk management certification for employees working in high-risk activities. This will ensure staff working in high risk activities, like manufacturing, trading, insurance, security and others possess adequate risk management skills and remain cognisant of the risks associated with their work. Evidence of moral and ethical behaviour. Make sure that risk management information is available to employees, contractors and visitors. 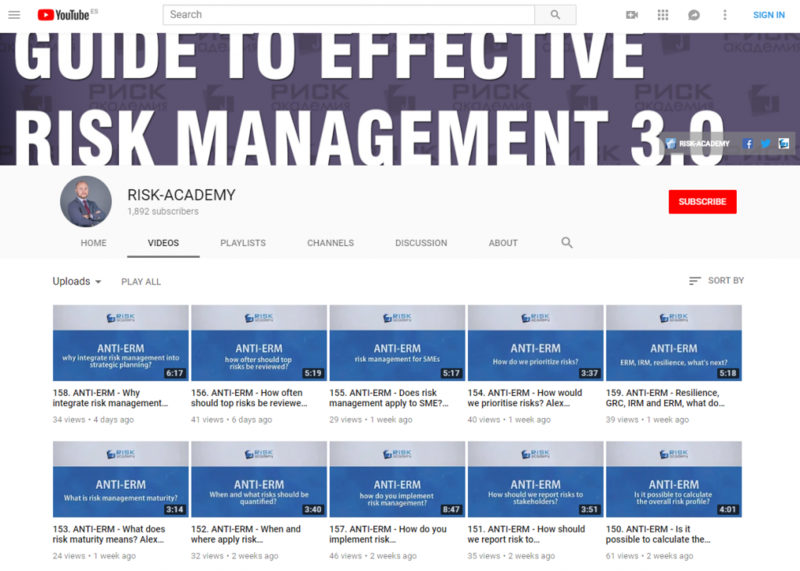 Place Risk Management Policy on the intranet and the corporate website, record and publish risk management training or awareness sessions videos on the dedicated risk management intranet page. Invite guest speakers (risk managers from other companies) to speak at the Audit Committee or Risk Management Committee and give employees the opportunity to participate. We have used this in the past and it worked very well. Periodically post useful risk management related articles and research papers on the corporate intranet. Make the risk management information easily accessible to staff.